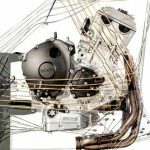 Yamaha announced it is developing a new three-cylinder engine using a crossplane crankshaft inherited from the company’s YZR-M1 MotoGP bike and its YZF-R1 sportbike. 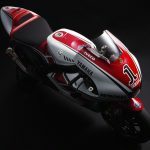 Yamaha says the new Triple will play an important role in the company’s future. 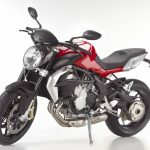 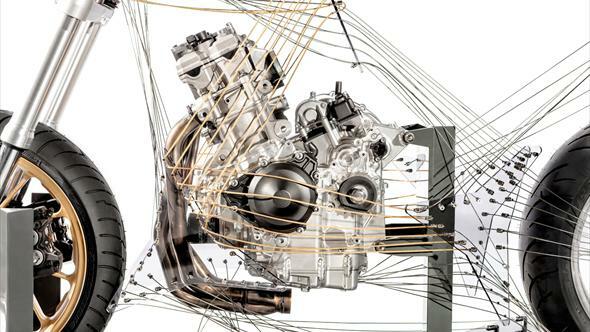 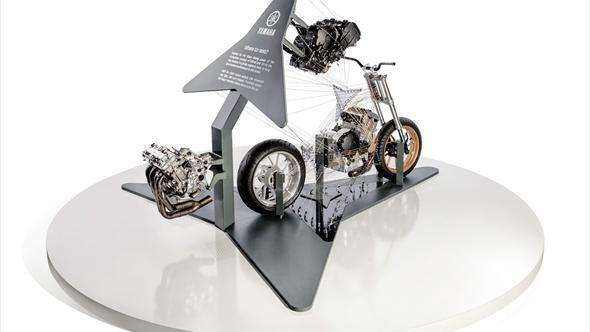 The Japanese manufacturer unveiled a concept sculpture with the new three-cylinder engine at the 2012 Intermot show in Cologne, Germany. 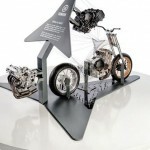 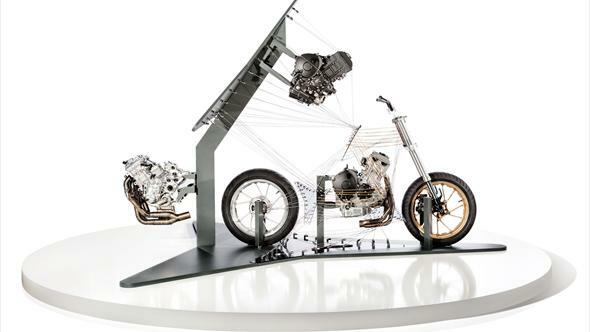 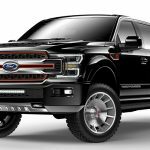 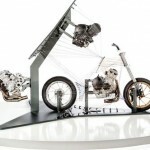 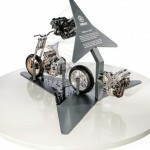 The sculpture is abstract, showing little beyond the engine, wheels and front fork, but the tires and wheels would suggest the first model to use the new engine will be a streetbike. 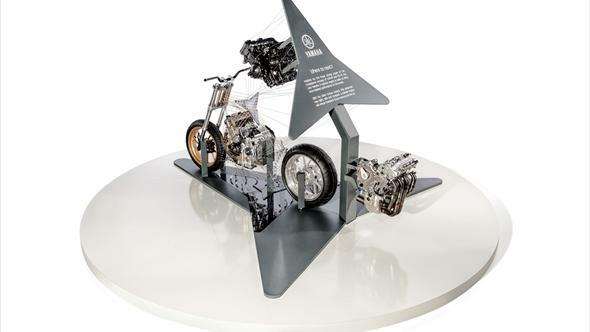 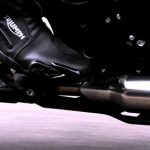 Yamaha trumpets the benefits of its crossplane crankshaft which has been used in bikes that have won championships in MotoGP, World Superbike and AMA Superbike. 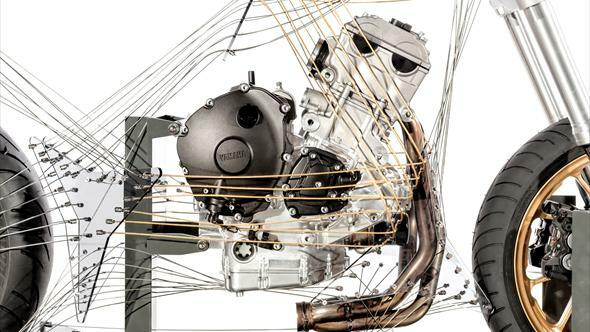 Yamaha claims the engine offers linear driving power and more efficient torque output. 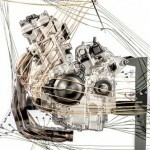 Yamaha hopes the crossplane crankshaft can work additional wonders as a platform for a new generation of models.